D.W. Fearn is a phenomenally talented and humble individual with many related interests. We’re tremendously lucky that one of them happens to be high fidelity audio. Douglas got his start tapping out Morse code, a passion he still holds to this day, and that is one of many ways his meticulous design nature can be seen in his everyday life. This precision can be seen throughout our visit with Fearn: in the metalwork and paint for the iconic red faceplates, in his passion for flight, and in Doug’s insistence on building products that he would want to use on a regular basis. 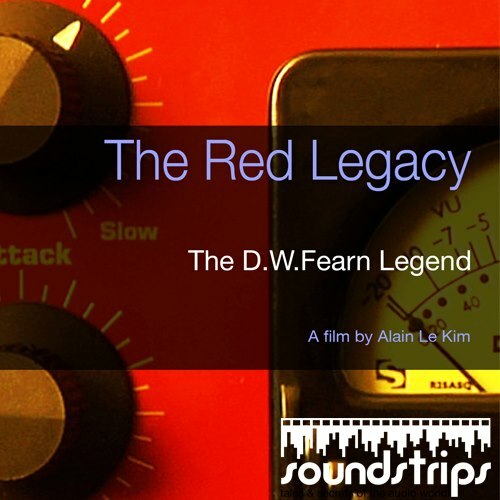 Titled The Red Legacy, this 104 minute long film by Alain le Kim is the 9th entry in the Soundstrips series of “tales and secrets of the audio world.” Doug Fearn has a particularly interesting story to tell, as he is truly a man forging a legacy. Determined to leave a lasting impact on this world, he has created not only a revolutionary line of outboard recording gear, but has also devoted himself to lecturing and writing about Lyme disease. Interestingly, Doug grew up in a home that didn’t listen to recorded music, only live performances, which has undoubtedly influenced his desire to create the most sonically accurate equipment possible for recording. Fern got an interesting start in the ’60s, first working as a broadcast engineer, opening a recording studio, and eventually delving into electronics by rebuilding tube microphone preamps salvaged from his first employer’s trash. Convinced he could improve upon the designs of the preamps he salvaged, Fearn would go on to develop the VT-1 Class A mic preamp and his associated product line, all without any formal electrical engineering training. My favorite part of the documentary is Doug’s studio session with singer / songwriter Tom McIntyre. It was really nice to see how Doug uses his equipment, cementing the idea that these amazing pieces of gear are truly what he personally wants in a preamp / equalizer / compressor, and that he’s just pleased others want to use them too. Also, it is interesting to see how his own philosophy of recording intersects with the tools he’s created, which is truly unique. We’re also treated to a visit of Martin Guitar factory, where Fearn preamps are used in the company’s testing process. Douglas mentions in the film that flight is a technological pursuit, and we frequently cut between his shop, his radio, and his plane. However, I think it’s safe to say that nearly D.W. Fearn’s entire life has been a technological pursuit in one way or another. Thankfully, he has achieved greatness in at least one of these, which has been both exciting to watch and even more fun to use. 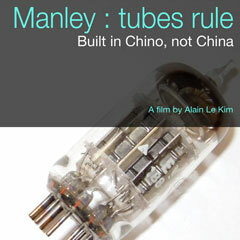 I thoroughly enjoyed the film, and I’m sure my students will as well. 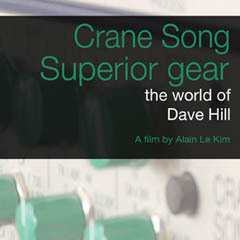 If you’re a fan of Fearn gear or high-quality audio, this should definitely make its way onto your shopping list. Disclosure: Kyle’s copy of the Soundstrips documentary on D.W. Fearn was provided without charge for review purposes. 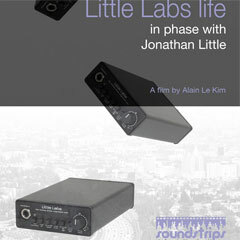 To order any of the Soundstrips documentaries, visit Soundstrips.com.